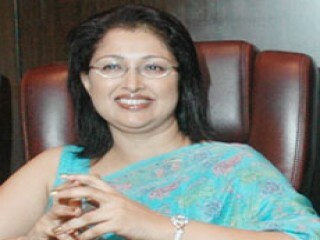 Gouthami, born as Gouthami Tadimalla on 2 July 1968, is a popular Indian actress. She has acted in Telugu, Tamil, Malayalam, Hindi and Kannada films. Her first film was Dayamayudu,a Telugu movie based on the life of Jesus Christ. Gouthami was born in Tadimalla Village in West Godavari District in Andra Pradesh. She was studying at GITAM College in Vizag, Andhra Pradesh when she received her first film offer. She was introduced to Tamil films through Guru Shishyan, a film that also starred Rajnikanth. She was most active in Tamil cinema from the late 80's to the mid 90's, and was a competitor to the other heroines of the time, Kushboo and Bhanupriya.Her filmography includes Thevar Magan, as well as Mani Ratnam's "Iruvar"(1997), which co-starred Mohanlal, Prakash Raj, Aishwarya Rai, Tabu, Nasser and Revathi. She has acted also in Kannada films Elu Suttina Kote, Chikkejamana and Cheluva, and in the Hindi movies, Pyar Hua chori chori, Janata ki Adalat, Haiwan, Admi, Appoo Raja, Trimurti, and Dhaal. Prior to this, she had done a few movies in Malayalam, notably His Highness Abdulla (starring Mohanlal), and Dhruvam (starring Mammootty), Daddy (opposite Arvind Swamy), Her role in Sukrutham was penned by the writer M.T. Vasudevan Nair. She has acted in the Tamil serial "Indira" in the lead role of Indira. She made a guest appearance in the song 'Chikku Bukku Railu' with Prabhu Deva in the film Gentleman. Recently she has also hosted a talk show in Sun TV titled Anbudan which was launched to compete with Koffee with Anu running on STAR Vijay. She also acted in the serial abhirami which was telecasted in kalingar TV. View the full website biography of Gouthami.